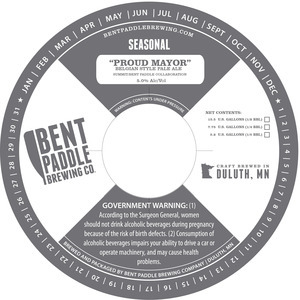 "proud Mayor" Belgian Style Pale Ale is brewed by Bent Paddle Brewing Co. in Duluth, Minnesota. The alcohol content is 5.0%. This brew is served on tap. We first spotted this label on July 29, 2015.